If your home is settling and you think or have been told that house jacks might be a solution to your problem, you may want to research to better understand house jacks and piers. There are numerous kinds of piers or pilings that work well depending on various factors including the degree of damage, the age and state of your foundation and the main kind of the soil in your area. Contact Best Basement Waterproofing to help you figure out your specific needs. The majority of foundation repairs will be completed by mounting piers of various types beneath your foundation to raise and support it. The heavier the building the more closely the piers must be set apart. Also, the corners on the inside are heavier than the corners on the outside and load bearing walls are heavier than those that are non-load bearing. The highest amounts of piers are typically needed along the edge of the foundation because of the weight, and this is where failure commonly arises. If the interior part of the foundation seems to also sinking or moving, piers may be required there as well. The overall amount of piers, and where they need to be put, will also depend on the degree of failure, weight of the building, condition of the foundation, and the kind of pier you choose to use. The best method for foundation repairs has been a driven steel pier to bedrock or load bearing strata. Some of the approaches used for repair such as hand-dug or drilled concrete piers might do an acceptable job, however, they are very disordered, they take a lot of time, they cost a lot of money, and they are labor intensive. During load transfer or lift, high pressure hydraulic jacks are positioned at several locations therefore reducing the weight on each resistance pier to only the design working load. These hydraulic jacks are linked to a system that provides a synchronized lift or steadiness of the structure. A building with extensive construction and firmness can provide better pier factor safeties than lighter or weaker structures. 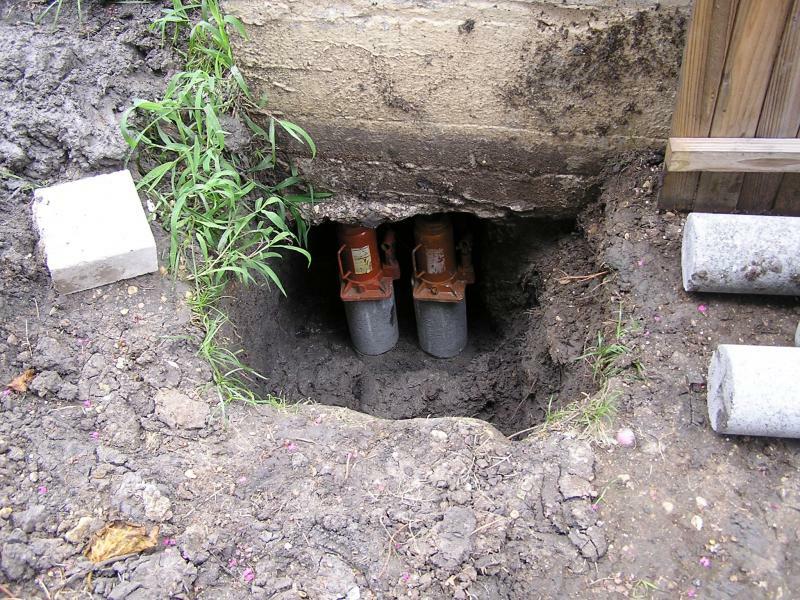 In Louisville, KY contact Best Waterproofing to help you evaluate and solve your foundations problem or if you just want to better understand house jacks and piers.